Funko has unveiled its first range of MyMojis. 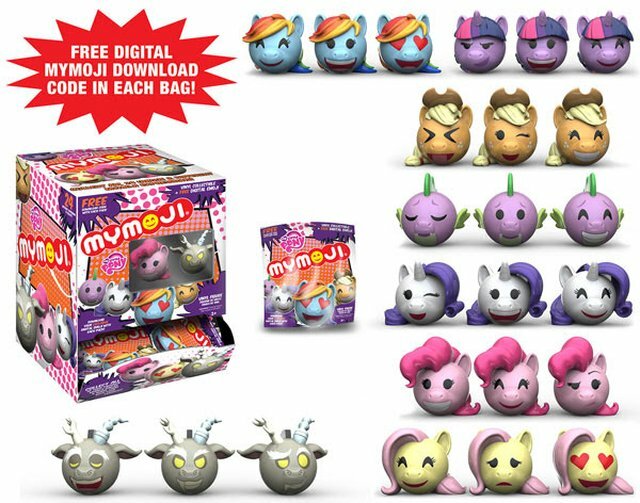 Combining emojis and the fun of collecting, the MyMojis are blind-bag vinyl figures depicting a different emotion through the faces of characters. 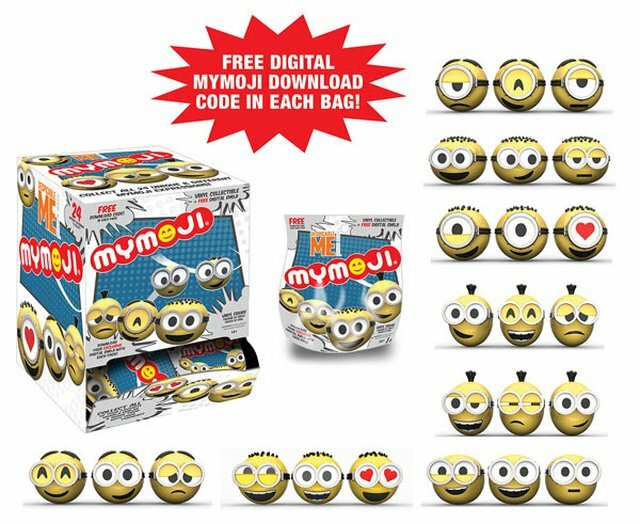 Retailing for $3.99 (UK price TBC), each MyMoji comes with a code to download a free digital MyMoji for your phone. The first wave of the range will arrive in April featuring popular DC and Teenage Mutant Ninja Turtles characters. 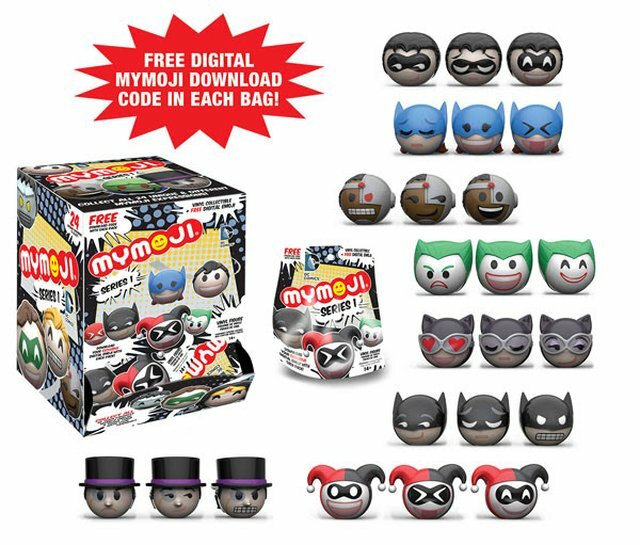 The DC MyMoji figures will include Batman, Robin, Batgirl, Joker, Harley Quinn, Catwoman, Penguin and Cyborg. 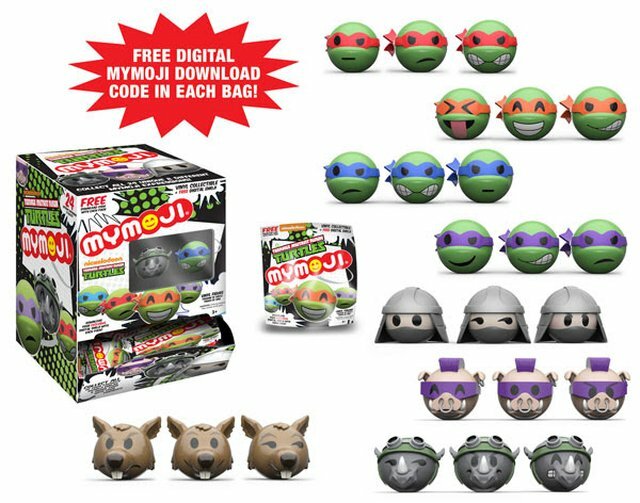 The Teenage Mutant Ninja Turtles MyMojis will feature Michelangelo, Raphael, Leonardo, and Donatello along with Master Splinter, Bebop, Rocksteady, and Master Shredder. The second wave arrives in May and features My Little Pony and Minions characters. The My Little Pony range will feature favourite ponies such as Rainbow Dash, Twilight Sparkle, Rarity, and Applejack, as well as dragons Discord and Spike.